Thomas Playfair was born on 12 February 1832 at Earl’s Colne, Essex, England. He was the eldest son of a tailor Thomas Playfair and his wife Mary Anne, née Arnold. On 7 November 1860 he married Ellen, daughter of Thomas Matheson. Ellen died in 1866 and on 26 February 1867, he married Georgina Matheson (d.1878), the half-sister of his first wife. He died on 15 November 1893 at his Darlinghurst residence, survived by two sons of his first marriage and a son and daughter of his second marriage. He was buried in the family plot in the Anglican section of Waverley Cemetery. Playfair joined the navy at the age of 12, becoming a captain’s and wardrobe steward and seeing several naval actions. He arrived in Melbourne on 30 September 1859 on the HMS Pelorus and was voluntarily discharged. He came to Sydney on the SS London on 7 October 1859. From 1860 to the 1870s he entered into a wholesale butchering partnership with Edmund John Bailey (d.1862) who had shops in South Head Road and Crown Street. By 1862, Playfair also had his own shop as a shipping butcher at 107 Lower George Street. With increasing numbers of windjammers provisioning at Sydney, his business flourished and eventually passed to his son Edward. He was instrumental in establishing saleyards at Homebush in 1882. He purchased real estate in the city and North Sydney. In 1887, he moved his family from The Rocks to Goldah House, which he renamed Chelmsford, at 61 Darlinghurst Road. He is commemorated by the Playfair Fountain at Flemington saleyards, a plaque on the Holy Trinity Church at Millers Point, Playfair Street and Playfair Stairs. Playfair was an unostentatious benefactor of the Sydney Ragged School, the Boys Brigade and the Sisters of St. Joseph’s Providence. He was known for his generosity to the poverty-stricken people of Miller’s Point. 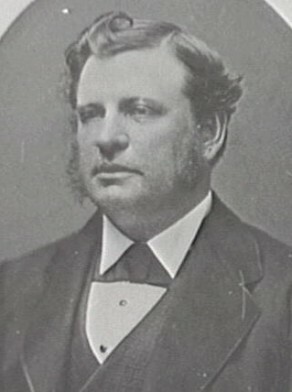 Thomas Playfair was elected member of the NSW Legislative Council for West Sydney from 2 February 1889 to 6 June1891. Playfair was Alderman of the Sydney City Council for Gipps Ward from 1 December 1875 to 15 November 1893. He was Mayor in 1885. He actively supported the need for a better city water supply, the demolition of slums and rookeries, and improved sanitation. Ross Duncan, ‘Playfair, John Thomas (1832–1893)’, Australian Dictionary of Biography, National Centre of Biography, Australian National University, http://adb.anu.edu.au/biography/playfair-john-thomas-4405/text7185, accessed 7 December 2012. City of Sydney Archives: Aldermen’s Files; Photos: CRS 54/396; 54/411; 54/458; 54/485; 54/519; 54/548; 54/579; and THC 88/933.